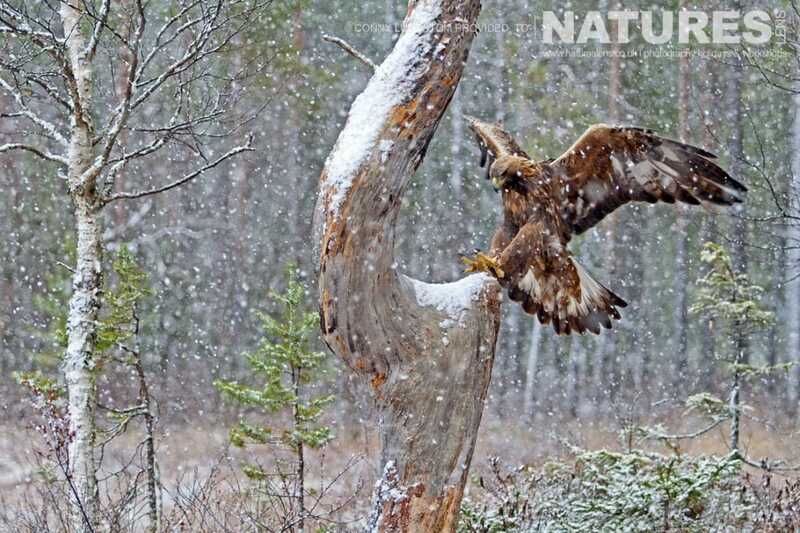 We invite you to join us for 6 days & 5 nights, spending time within the forested wilderness of Sweden, photographing the native golden eagles as they thrive in this wintery wonderland. Dan Trim, one of the team of NaturesLens photography leaders, will provide tuition on an as needed basis, assisting you in obtaining the best possible images. Photographing these impressive birds within stunning forested & mountainous landscapes, you will have opportunities to capture motion shots of the birds in flight, soaring overhead as they track prey, feeding, & resting within their protected habitats. 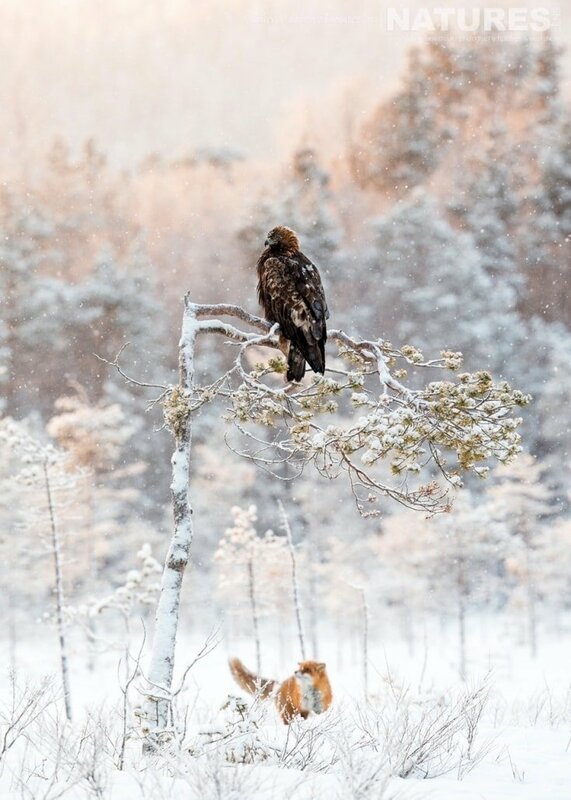 The Golden Eagles of Swedish Winter is a photography holiday of 6 days (5 nights duration), that costs £1599 & takes place in Skellefteå in Sweden, between the dates of 8th – 13th March 2018. This new photography holiday offering is offered to you on a full board, non-shared basis. Group size for this photography holiday is a minimum of 3 participants & a maximum of 5, plus Dan. You can find more details on the dedicated event page – to hold a place we require a £320 deposit, with the balance due 90 days prior to the trip commencing. This entry was posted in announcements, photography holidays. Bookmark the permalink. Whatever your query regarding our photography holiday, A new winter tour to capture images of the majestic Golden Eagle, please fill out your details below & we will get back to you.